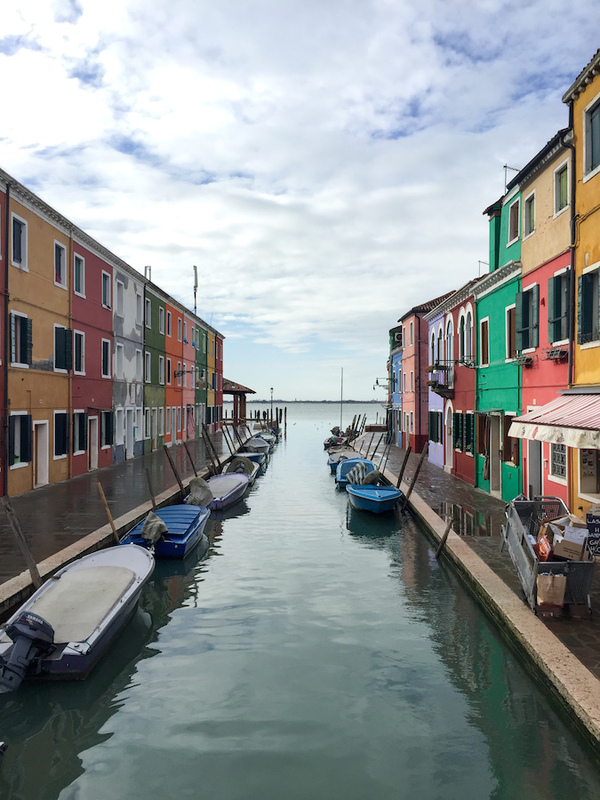 It is almost unfair that Italy's Venetian Lagoon could be home to more than just the iconically dreamlike city of palaces and canals. 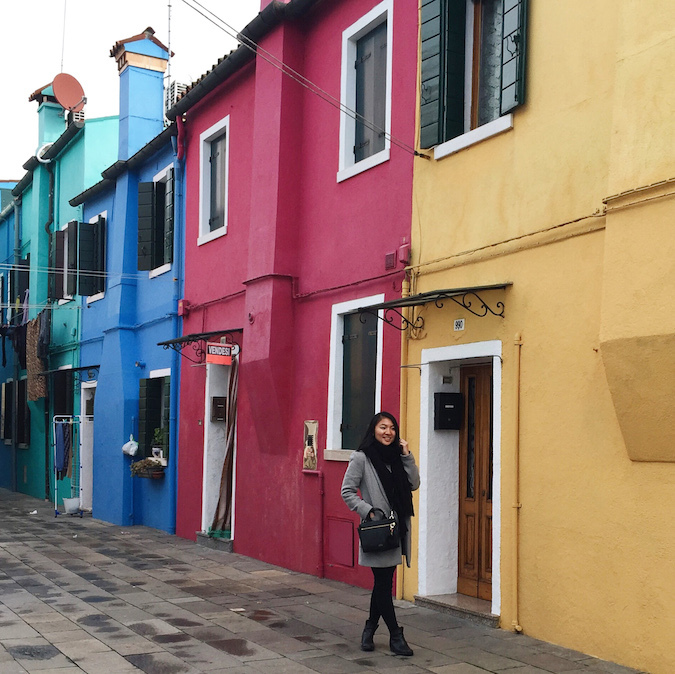 If you ever find yourself wandering through the stunning streets of Venice, add an extra day to your itinerary to explore the fantasy land that is Burano. 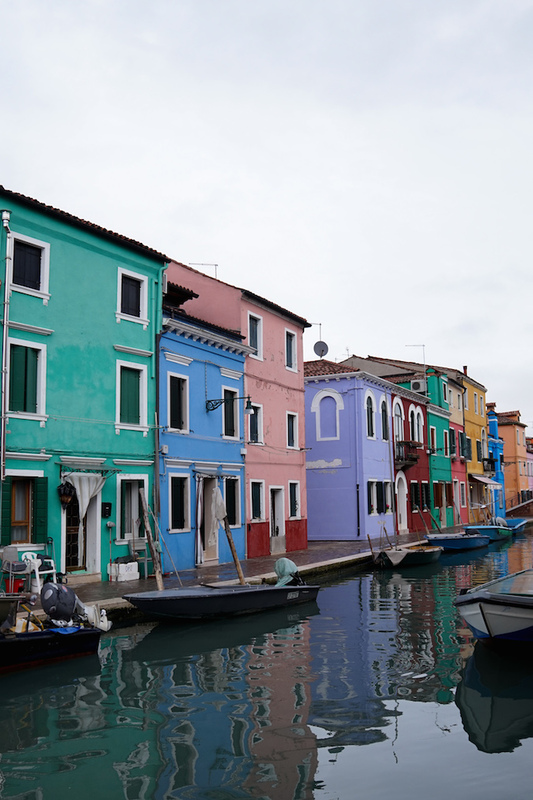 Just a forty minute boat ride from Venice, Burano is most notable for its lace-making and the brightest residences you will ever see. 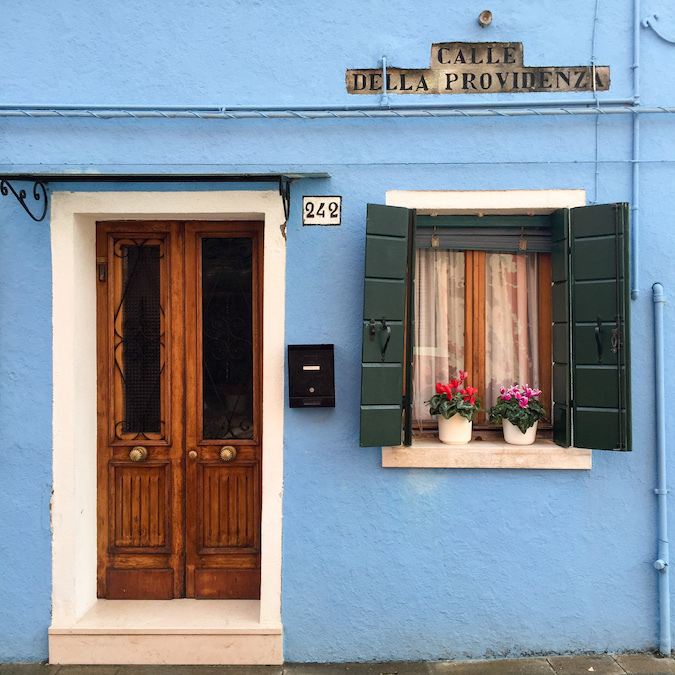 Especially if you visit during peak season, don't miss this opportunity to experience a true Italian gem without the crowds. Although you won't need much time here, I guarantee you will never forget the visit. 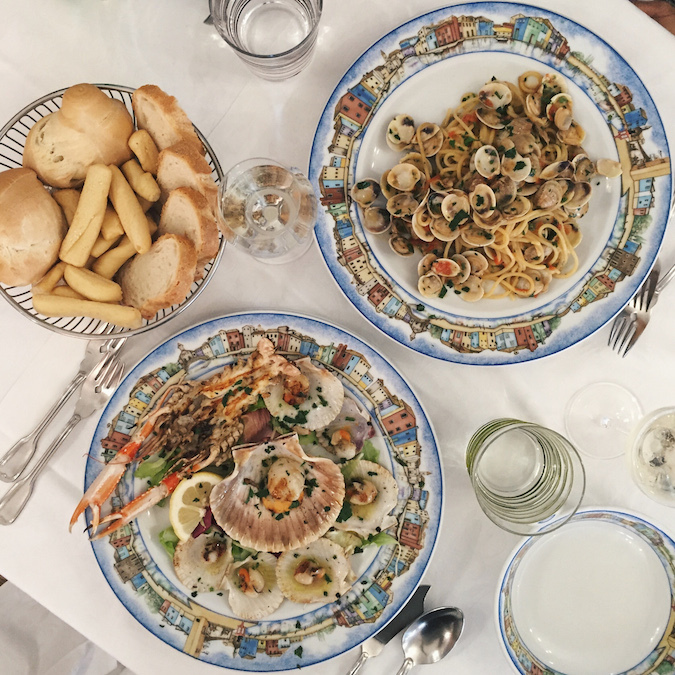 This hidden restaurant served one of my favorite meals in Italy. 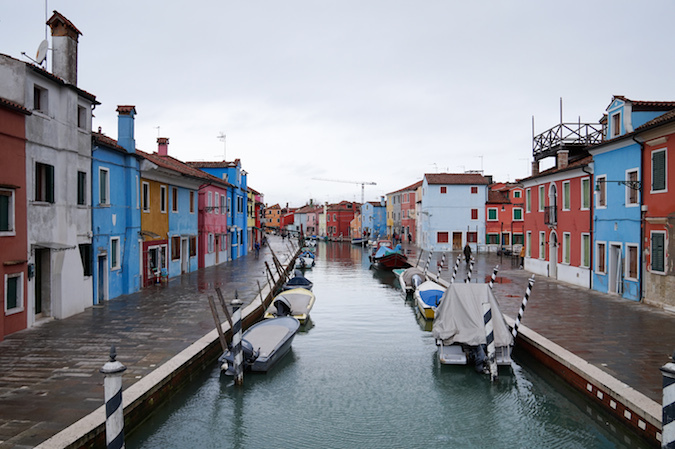 With its location on the Venetian Lagoon, you are only offered the best of the best local seafood. Extra points for the adorable tableware as well. Since being recommended by Jamie Oliver, this restaurant has garnered quick popularity amongst tourists and locals, and rightfully so. 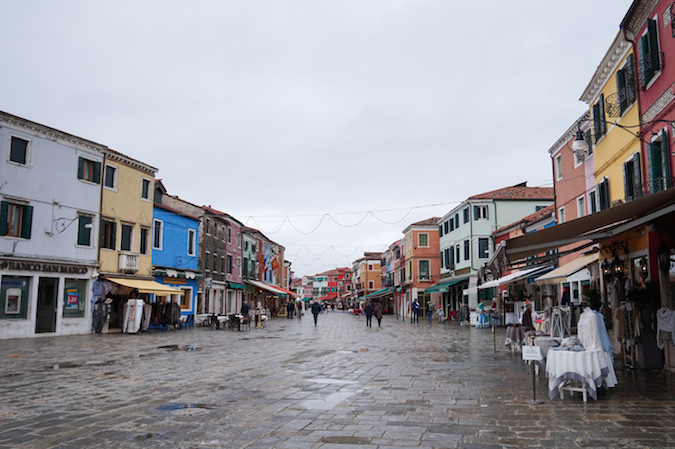 This colorful street is the main attraction for shopping and dining (with exception to Al Gatto Nero). 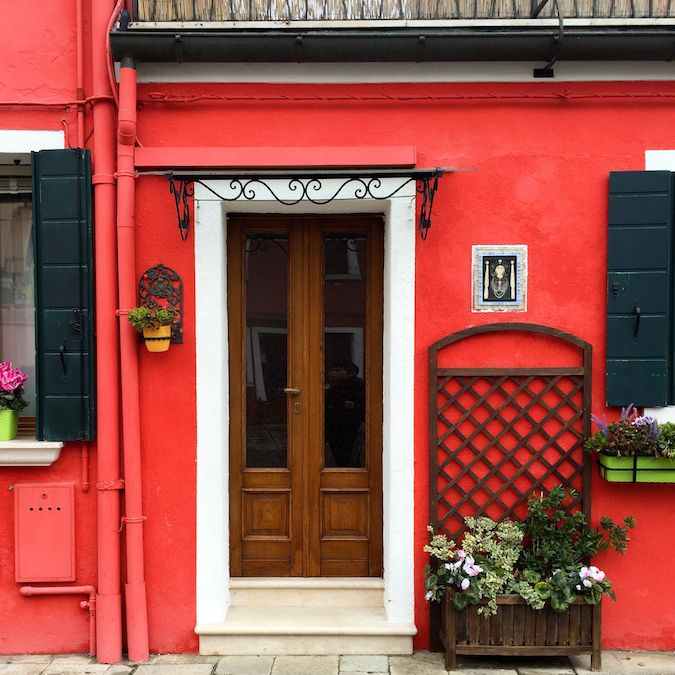 If you're looking for authentic Burano lace, start here, but be wary of your selection. Many places now sell cheap foreign lace, but if you are looking for the traditionally made product, be ready to clean out your wallet. 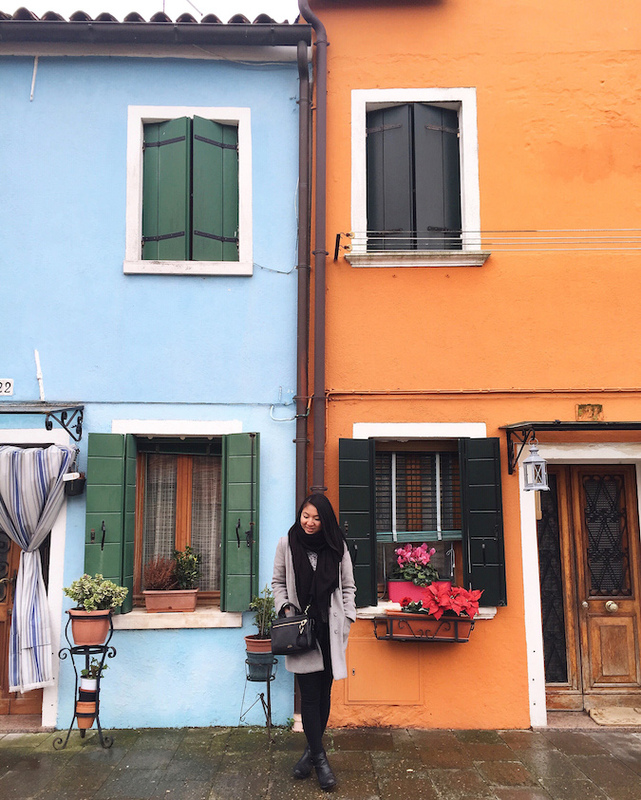 We spent our last full day in Italy exploring the quietly colorful streets of Burano, and I would not have had it any other way. The tiny island offers a feeling of cheerful fantasy that will have you wanting to stay forever. 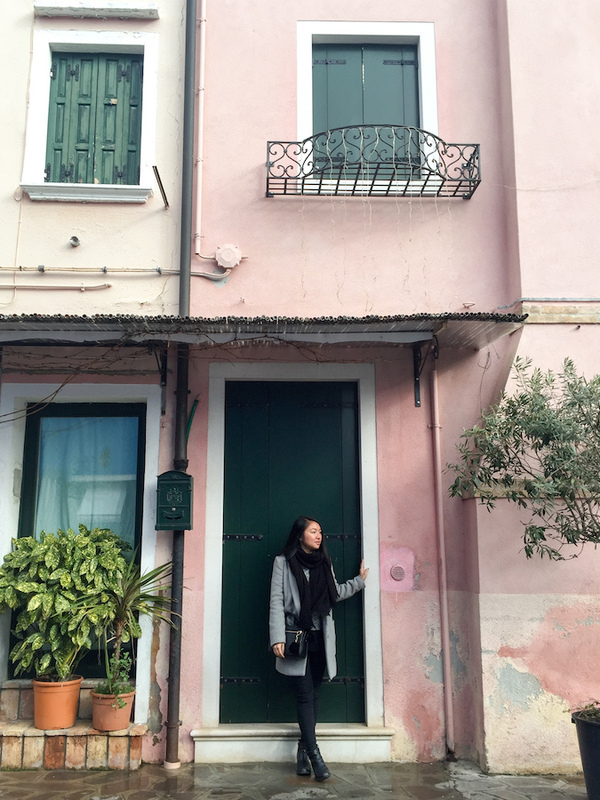 The best part is watching the locals happily go about their days with a kind of simplicity that we tend to overlook. It is like stepping into a real life Disney World, but so much better. Amazing place, I wish to be there :-) Beautiful outfit my dear! You must visit sometime! It is magical! beautiful travel photos! a place to go to for sure! Aw, thank you Tania! You're so sweet :) I hope you make it over one day! 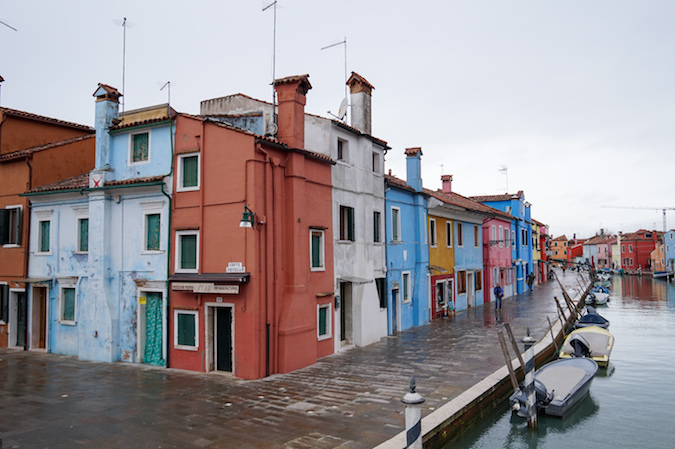 These photos are gorgeous; the colors are incredibly lush! 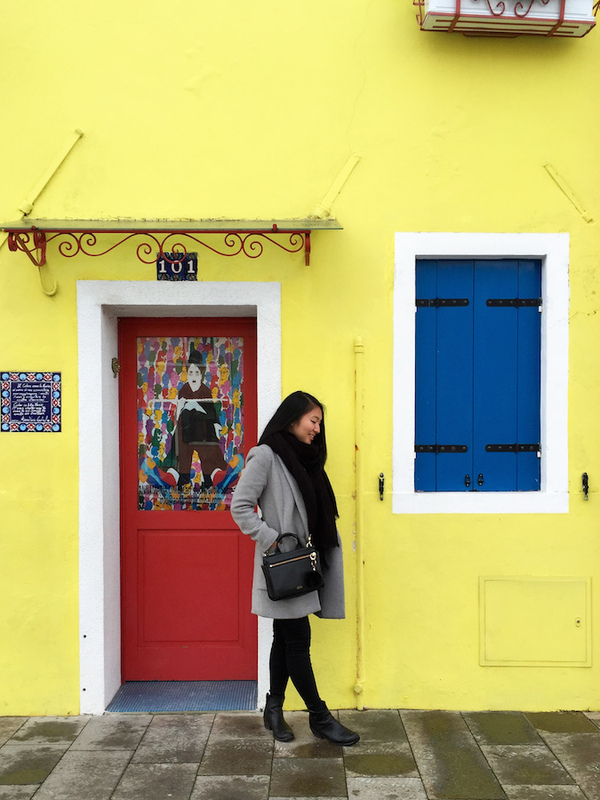 What an amazing place to be; love your monochrome outfit too! Wow! Love the scenery in your posts, I wish to be there! Great post! Another wonderful round of travel photos! 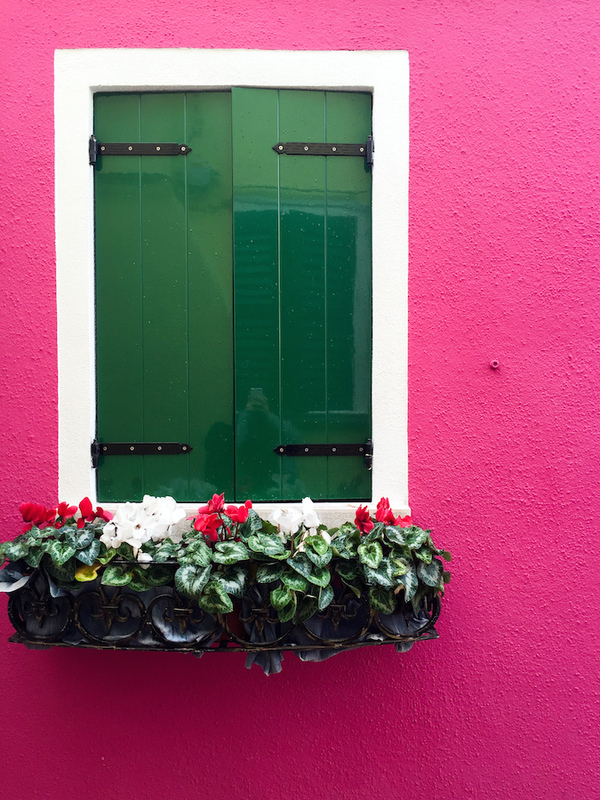 I cannot get over how cute the windowpanes are on these colorful walls! Nice places for nice photoshoot :) Good outfit. It must be beautiful in your own eyes. I can't get enough of all the colors! I love this so much, thanks for sharing!